SE Racing In The House ! SE Racing bikes have a very deep history in the cycling world. They have been wining races and cycling events for over 30 years ! 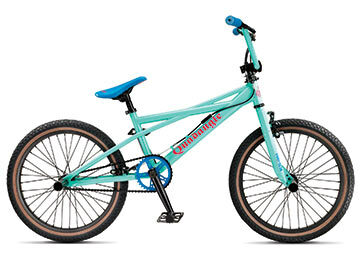 SE has been the chosen bike for many champion BMX riders over the years as well as the go to bike for bike messengers and commuters looking to get there simply and quickly ! 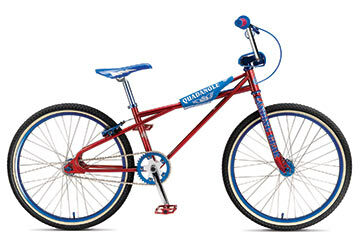 SE has had many memorable bikes over the years including the Quadangle. The Quadangle has been high on the “bikelust” list of kids for many years ! The Ripper has always been a lightweight speed machine for “ripping” around town or winning heats at your local race track. 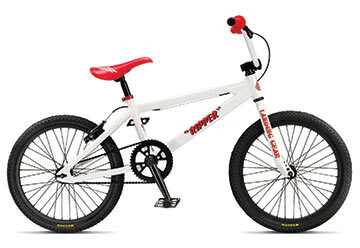 SE has always had a great lineup of Cruiser or 24″ wheel bikes for doing the heavy work or hitting the race track. Great for us “grownups” ! 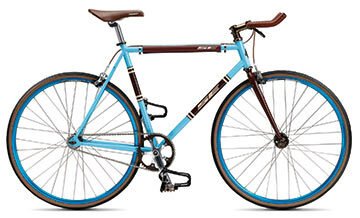 Most recently SE has added a great selection of fixed gear and single speed road / track bikes. Great for commuting , bike messengers , hitting the track or just cruising . The Lager is one great example of this style of SE. If you are in the market for something a little different than SE has to be on the top of your list. With so many bikes and styles to choose from we are sure that the “ripper” in you can find something he or she will love ! Look here for a great interview with founders of SE Racing .